Since 1968, Coral Reef Rock Shop has sold a range of gemstone beads, including amber, jet, emeralds, rubies, and coral. We sell 16" gemstone strands for $5 each, and our rock shop features an enormous range of colors and styles. Visit our store today to browse our selection of gemstone beads and jewelry in New Port Richey, FL. We offer lavender rainbow moonstone jewelry, abalone and opal jewelry, and more. We even sell a faceted gemstone you can add to a set of earrings or a necklace. However, most of our pieces come in sterling silver, including rings, bracelets, pendants, and necklaces. Our store sells findings, clasps, wire, and everything else you need to make your own jewelry from our gemstones. Stop by today and purchase earrings, an ankle bracelet, a necklace, or another fantastic piece of jewelry. 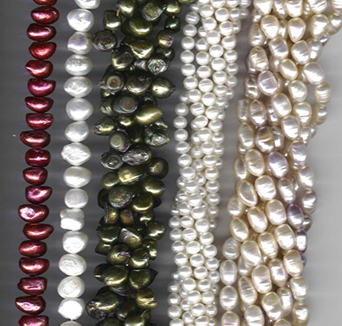 For over 50 years, our company has been selling amazing gemstone beads in New Port Richey, FL. When you are looking for that one-of-a-kind gift for that hard to buy for person, this might be the place for you. We carry a wide variety of gemstone beads which include amber, jet, emeralds, rubies, and coral — something for even the most discerning taste. Coral Reef Rock Shop Inc. also carries a variety of rocks, shells, and beautiful jade. The wonderful thing about our products is they are always one-of-a-kind, so you know that this beautiful piece is unique to just you. Did you know that Moonstone holds the power of mystery? Its secrets are locked beneath a pearly veil, and with them, our own hidden truths. Included in our selection of gemstone beads is the fashionable lavender rainbow moonstone jewelry. This type acts as a prism, diffusing energy throughout the aura. It has been known to provide psychic protection, clearing the mind and senses and aids in peaceful sleep. That makes it an intriguing and beautiful gift for the special someone in your life. Contact our experienced gemstone bead company today to pick out that perfect gift for someone in your life or for a little something to spoil yourself. We proudly serve New Port Richey, FL, and the surrounding area.